TXM Lean Solutions were delighted to be selected from over 200 suppliers as finalists for the Innovation Award at the Kmart Supplier of the Year Awards. These were presented at the Zinc Function Centre in Melbourne’s Federation Square last month. The Kmart Supplier Innovation Award recognizes an individual or team that generates big ideas that contribute to Kmart’s success. They embrace and lead change, boldly challenging the status quo and have implemented an innovation that contributes to every store being a success. It recognizes suppliers who are prepared to be bold, challenge and think outside the square! 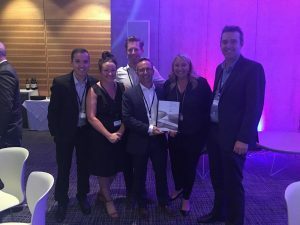 TXM’s selection as one of four finalists recognized TXM’s achievements in working successfully with Kmart to apply Lean principles and methods to improve its distribution centres in Australia and New Zealand. This Lean innovation has lead to significant gains in the efficiency and safety of these large operations. The benefits of the lean operating methodologies, new ways of thinking and future proofing of processes has resulted in improved consistency and efficiency across all DC’s. TXM challenged the status quo and successfully brought all stakeholders on the journey through exceptional collaboration and communication. 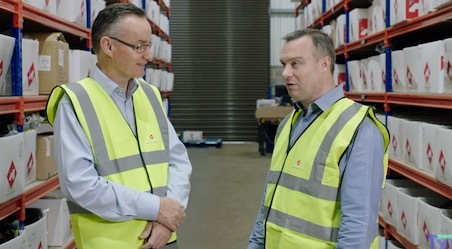 This has significantly improved the way the DC’s process inbound volume and the Supply Chain team is now on a lean journey that has contributed to them having delivered their best Christmas ever. “This Christmas period Kmart’s Distribution Centres processed a significant increase in volume however, were able to improve efficiencies and safety of their operations as a result of implementing TXM’s Lean methods and principles”, said Sam Finch, Kmart, National Projects Manager, Supply Chain. “Applying Lean principles in Kmart Distribution Centres has brought a cultural change and a mind set shift to its network operations” said Greg Boek, Senior TXM Lean Consultant. Kmart is committed to further implementation of Lean methodologies within its supply chain network and business as a whole to improve its performance.